Often the most vilified of all the types, eights are driven by the need to be self-reliant and strong. They are often portrayed as either heroes or villains in literature, dominating others either as a way to protect themselves or their loved ones, to whom they are fiercely loyal. And this need to dominate is underscored by the basic fear of the eight: of being vulnerable to harm or control by others. Eights long for assurance of personal freedom and safety. At their least healthy, eights become intimidating, controlling, and aggressive. They are preoccupied by gaining and maintaining power in their various spheres of influence in order to feel safe. More than anything, what protects the unhealthy eight is denial. They have an uncanny ability to deny their own fears and weaknesses, and focus instead on gaining the upper hand. When healthy, however, eights can be in touch with the role fear plays in their lives, and begin to use their strength to protect and defend. Eights make straightforward and loyal leaders, capable of inspiring others to follow them into battle, so to speak. They take initiative and are excellent organizers and delegators, although they can have trouble trusting others with important tasks. 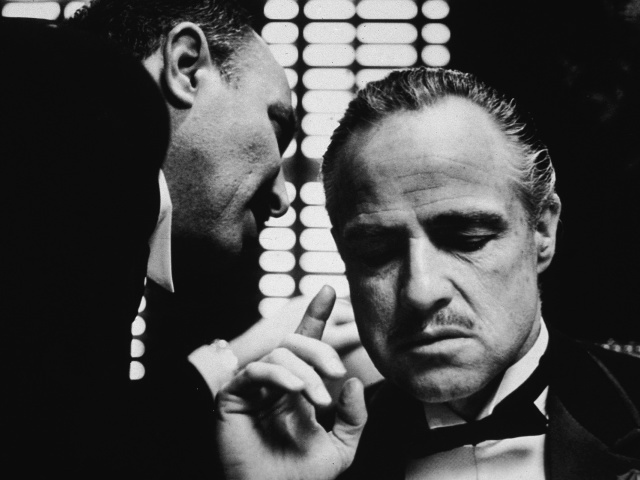 One of the most classic examples of an eight in popular culture is Don Vito Corleone from Mario Puzo’s The Godfather and Marlon Brando’s iconic portrayal of him. Corleone is the imperious, ruthless head of the Corleone mafia family, a position he has achieved by equal parts intimidation and a strict personal ethic of loyalty. Take the following clip for example, when an old friend asks the Godfather for a favor he finds impertinent. See how deftly Corleone weaves generosity and friendship with fear, control, and obligation. See how carefully he plots to demonstrate to his friend how much he demands and deserves respect in the future. Notice the unsettling combination of his tenderness with the cat and his menacing quiet words. Though Don Corleone is infamous as a villain, he is also generous and caring toward his family, and one gets the sense watching him, that he leads this life as a way to protect the ones he loves. As with many eights, Corleone has a passion for justice and truth, although his version of justice is colored by his desire for power. Eights tend to have their own strict moral code that is highly personalized to their experience. It is this sense of morality and fairness that leads them to be protectors of the weak and poor. Corleone’s experience of the world has been that it is unpredictable in its cruelty and therefore, no one is to be trusted until they prove otherwise. Corleone as a child watched his own family be murdered one by one, and he barely escaped with his life. It is no wonder then that he develops the belief that his very survival depends on his ability to be strong and to find allies whom he can control and manipulate. His power gives him the illusion of safety. 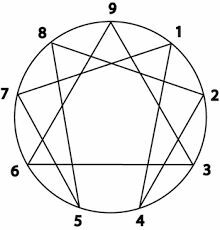 Eights have many strengths and gifts, and the challenge for them is to use their strength for good and for justice rather than for revenge or cruelty. Eights are deeply afraid of any softness within themselves, and this can make them disdainful of softness they see in others. They have a choice: to use their power either to empathize and protect or to dominate. They must accept that a multitude of grey exists in between the moral categories they have set up of good and evil, black and white, for me or against me. And above all, they must learn to value vulnerability in themselves and to respect the dignity and rights of others.